October 30th, 2016 (10:01 PM). Edited August 21st, 2017 by Ephraim225. Reminder: When you play this game in VBA make sure to change the emulator's save settings to Flash 128k or you can't save! I also recommend having rewind enabled for your safety. 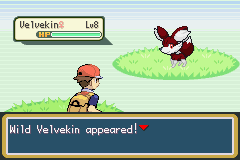 Two and a half years ago, I dropped Fire Red and a box of chocolate bunnies into a blender. 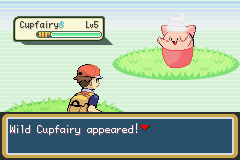 This resulted in two things: The world's worst smoothie, and an idea for a ROM hack in which the world of Pokémon melds with Candyland in every respect, from the Pokémon themselves to the moves that they used. And then I actually made that ROM hack, and it proved to be a refreshing hit with players, as is evident by the amount of fanart that began to pop up. Heck, I even made TVTropes! You guys really know how to butter me up. 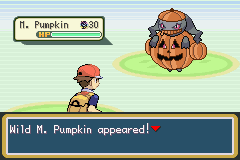 This patch fixes a few errors regarding the typing of some Pokesweets and moves as well as another error that prevented encounters from occurring on Route 4. Happy New Year! October 31st, 2016 (12:45 AM). Really? Thanks, that'd be awesome! October 31st, 2016 (1:39 AM). Is this fully playable?Like a full game? October 31st, 2016 (5:26 AM). The title does say "Beta patch" so probably not. But yeah, an indication of the hack's progress would be nice. October 31st, 2016 (10:00 AM). YES! 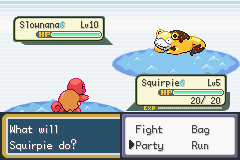 Pokemon sweet was psyducking awesome I wasn't aware you were making another one? October 31st, 2016 (10:02 AM). When I woke up earlier today and saw this I already felt the hype. I really liked the original's idea of mixing sweets and pokemon because of the originality of the idea plus I'm totally not a pastry chef in training and have no bias whatsoever. What I think has won me over though is that it is a brand new region and not a remade Kanto, plus the non linear map structure sounds really interesting, although I kinda have one fear that the level curve is going to be a little odd with the structure, but I'm sure you'll figure something out. 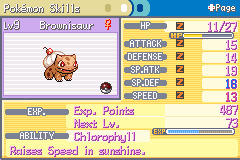 So yeah, I can't wait to try this out and try going through the region with each starter Who am I kidding? 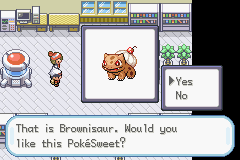 Brownisaur is always the only option. Always. October 31st, 2016 (12:28 PM). YES! 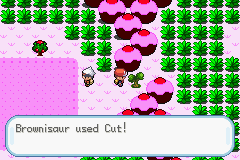 Pokemon sweet was ****ing awesome I wasn't aware you were making another one? Oh yeah I forgot to mention, physical/special split is implemented this time. Also, this hack is fully playable to the ending. October 31st, 2016 (12:41 PM). I am definitely downloading this as soon as I get on my computer! You know it took me a while to understand the title, I thought you wasn't aware it goes 1st, 2nd, 3rd, 4th ect, and you thought 2nd was actually 2th but I totally get the pun now, just say it out loud - two-th - tooth. Sweet Tooth! October 31st, 2016 (1:31 PM). It's an honor to have contributed to such an amazing game. October 31st, 2016 (3:03 PM). As a fan of the first one, I'm glad the sequel's finally out. October 31st, 2016 (8:38 PM). Edited October 31st, 2016 by jan2prado. October 31st, 2016 (9:40 PM). Could you add real mega evolution? October 31st, 2016 (9:58 PM). 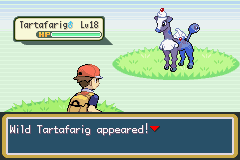 There is already mega evolution in one of the screenshots. 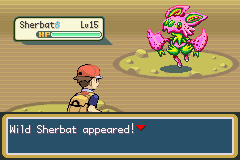 If you're talking about Mega Evolution in battle,that...uhh..would be difficult. October 31st, 2016 (11:14 PM). 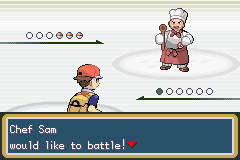 Is it also nuzlock type like the prequel? October 31st, 2016 (11:17 PM). October 31st, 2016 (11:32 PM). Oh.Like in X and Y? 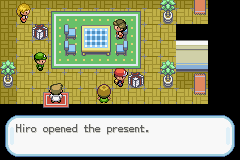 They even gave you the mega stones and everything?Sweet. November 1st, 2016 (3:35 AM). 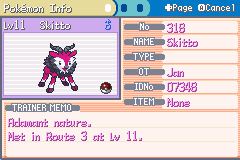 Skitto is a Raspberry/Grape Type. November 1st, 2016 (4:12 AM). The IV system is all Zs for me. Although that might be the rom I'm using. And also, the Oran Puff seems to be bugged. When i tried to give it to a mon, it asked me to put a message in? November 1st, 2016 (9:39 AM). I feel so honoured to contribute to this. 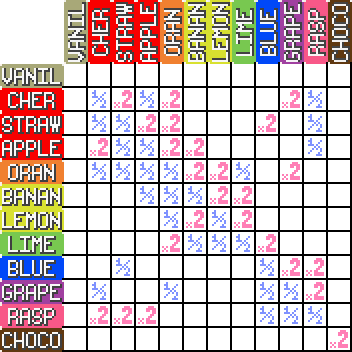 Though which of my Pokesweets are in again? I forgot. November 1st, 2016 (10:41 AM). The status screen is not bugged. 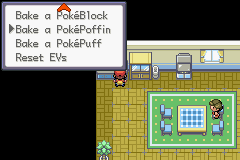 It's displaying EVs, not IVs. About the Oran Puff, the slot it uses was originally occupied by a mail item. I'm not sure how to remove that property so I suppose I'll have to move it to another slot in the future. Not sure what's going on with Skitto. It seems only his type is not displayed for some reason. November 1st, 2016 (6:13 PM). I think I found a glitch. 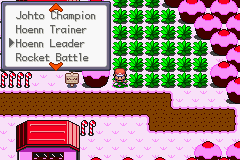 When you go into Mt.Candy, you can activate strength on those rocks on the top left of the map. Then you can go to the cave exit/entrance where there is a strength rock blocking it. 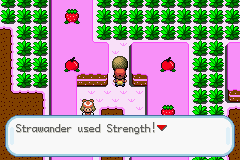 Since you already activated strength it will push the rock without stopping you. You can go in, which spoils that whole area, and if you can survive the wild pokemon, you can have a static encounter with 2 legends. You should fix this on your next update Ephraim. November 1st, 2016 (8:43 PM). November 1st, 2016 (9:29 PM). Also worth mentioning: Nanadile doesn't show his typing either. I assume it's Banana? 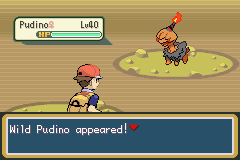 And how am I supposed to evolve my Angeino and Weepeanut? Are there stones that I need/where can I get them? November 2nd, 2016 (12:08 AM). I almost want to keep that in :P But thanks for letting me know. 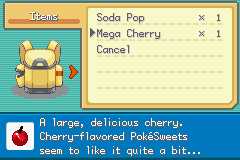 So it looks like there's more than one Pok�Sweet whose type doesn't display. I am 99% sure this is due to a graphical issue, so it should be really easy to fix. So far it looks like Grape and Banana types are affected, but the good news is the types still exist even if you can't see them. November 2nd, 2016 (12:39 PM). 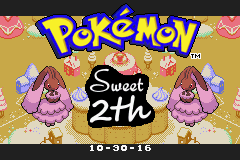 I just realized that the title of the game sounds like sweet tooth (sweet 2th) ??????? ?